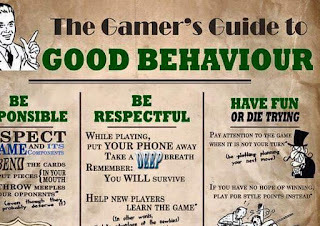 Over on RDigby's Deviant Art page, there is a Gamer Guide to Good Behavior here which has some humorous takes on the matter. Here's a taste . . . 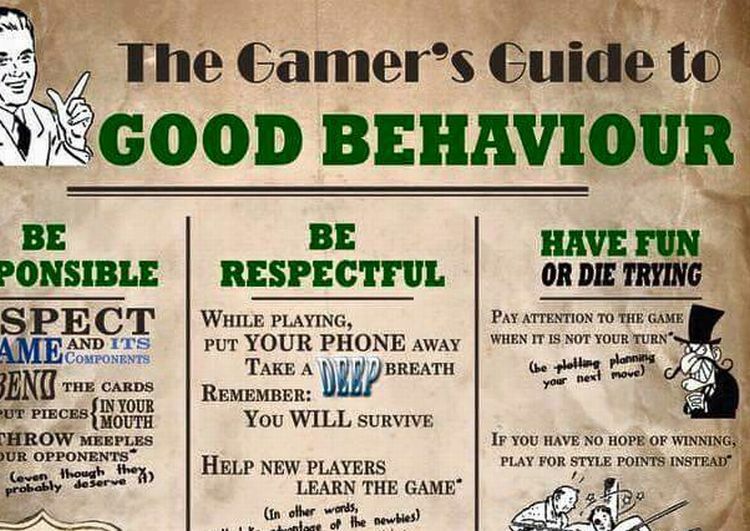 Finally on the GamersOnGames YouTube channel, they share some gaming humor as well. Enjoy!